Dedicated personal care means customising treatment to the individual. The frequency of taking x-rays depends greatly on the total health of the person. This means that general medical health, lifestyle, habits, diet, existing conditions and past medical and dental history need to be assessed. The main aim of taking bitewings is to check for decay between teeth and if are problems associated with existing fillings. 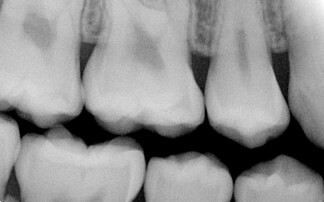 The bone levels at the neck of the tooth can also be assessed. 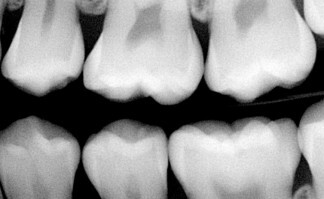 (See Why do we take xrays?). Good diet and life style. And has had a regular dental check ups. The person shown in Fig. 1 and Fig. 2 person would be LOW RISK. However, the risk profile can change dramatically within months if there is a significant diet or lifestyle change. This is often seen in young adults who have been closely watched by their parents throughout school. This means a good diet and lifestyle and regular attendance to the dentist. However they then start attending university. The diet may start to include high sugar intake, more caffeine, irregular cleaning of teeth. They then also think, “Well, I have had no problems in the past and I am too busy so I don’t need a check up”. 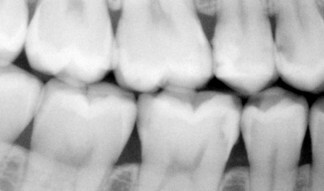 Anyway usually two years later they start to feel some sensitivity to sweet and cold and then they start to think “maybe I should go to SeymourDental because my teeth do not look so clean and maybe my breathe could be better. Oh yeah, there are some white marks on some of my teeth”. Unfortunately all that previous care of many years has almost come to nought. 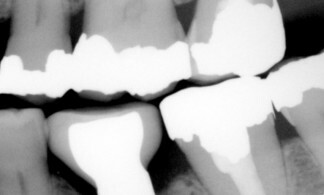 (See treatment of early decay). This person is now HIGH RISK. An upcoming article “Diet is the key” will go into more detail and this will appear in our first newsletter. Also medication, caffeine, smoking and other chronic conditions can lead to similar changes. The “Chronic health affects” post (a future article) will cover this important topic. Poor oral maintenance can lead to gum problems which can have permanent loss of bone if it is not controlled (see bleeding gums when you brush). HIGH RISK patients may need bitewings to be taken every 12 months. A person who irregularly attends and/or has a history of needing work may need more regular bitewings. This is usually every two years. 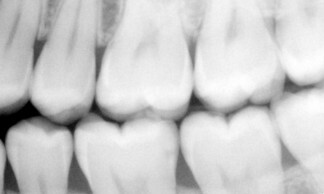 A person with past multiple dental treatments, even though they may now of low risk, may need bitewings every two years. This is to monitor the extensive amount of past work. 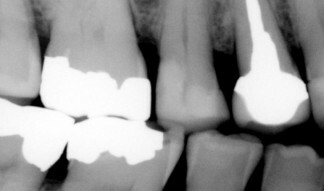 In February HOW OFTEN ARE XRAYS TAKEN & WHY – PERIAPICALS followed by HOW OFTEN ARE XRAYS TAKEN & WHY – OPG. Over the next two weeks we’ll talk about ‘Diet is the key’.